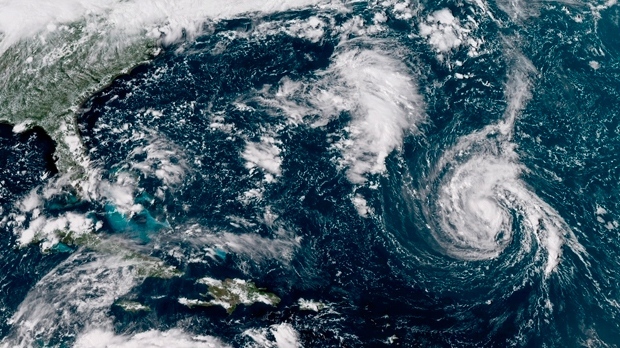 Canadian James Hrynyshyn and his family were drawing up emergency lists and charging battery-operated devices on Wednesday, among the millions diligently preparing for hurricane Florence, a monster storm that's anticipated to make landfall in the Carolinas early Saturday. "It's coming straight for us," said Hrynyshyn, who grew up in Dryden, Ont., and moved to Saluda, N.C., 13 years ago. "Saluda is right in the middle of the cone." "Everybody is talking about it," said Hrynyshyn, adding the local gas station ran out of fuel earlier in the day and the local electricity utility has dispatched work crews to the coast. However, he said there's a good chance the storm will blow itself out by the time it reaches his home near the Blue Ridge Mountains, about 380 kilometres from the coast. "It's hard to know how serious to take it ... but people are still worried," said Hrynyshyn, a 53-year-old communications consultant who specializes in climate science. "Apparently there's a lot of uncertainty at this point." "It's pretty unusual for us to have extreme weather," Hrynyshyn said. "But like everybody else, we're experiencing more extremes than we used to ... I don't expect to get a catastrophic amount of rain, but nobody predicted the massive amount of rain that we got in May." Meanwhile, communities along the Carolinas' coast prepared for the expected arrival of Florence, as forecasters warned the massive storm could stall over the area and dump a tremendous amount of rain through the weekend. In a videotaped message from the White House, President Donald Trump said the government was fully prepared for Florence but urged people to "get out of its way." 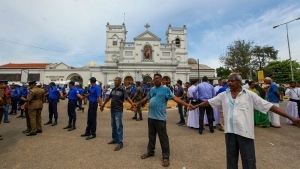 "If you reside in the affected areas, you should exercise caution, monitor local news and weather reports and follow the instructions of local authorities, including evacuation orders," the department said in a statement that also advised travellers to download the government's free Travel Smart app to get updated travel advice. "Canadians should contact their loved ones who may be in harm's way to ensure that they are aware of the latest recommendations."